BACARDÍ rum and coconut. What could taste more like summer sun and sandy beaches? The perfect blend of white rum and essence of real coconut will transport you to a tropical paradise, even when it's raining outside. The aroma is pure, rich coconut. The flavor? Intense coconut, naturally enough, but with a clean fresh finish on the mouth. A favorite aperitif in the Caribbean, an ice cool rum punch is perfect any time of day. 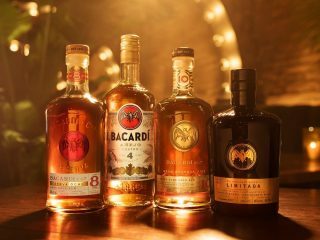 Made with BACARDÍ Superior rum, it offers a delicous medley of fruit flavors: sweet orange, pineapple, vibrant cranberry and grenadine.